You never know when an emergency will happen. That’s what emergencies are, after all. They are unexpected happenings that throw a wrench into plans. Having your car break down in an unfamiliar area can be one of the worst things to happen to you. Make sure you’re prepared for the worst by packing up an emergency roadside kit. It’s important to have jumper cables in your car at all times, but especially when you are away from home. 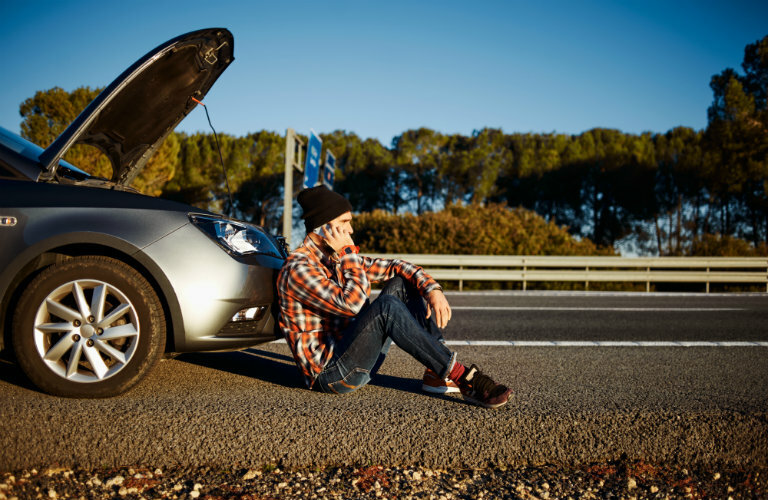 Keep jumper cables in your trunk or back seat area in case you experience some battery problems. Either call someone who is nearby or flag down a passing good Samaritan. If you have a breakdown on the side of a road, you want passing drivers to know that you’re there. It’s easier to miss a big, steel machine on the side of the road than you might think. These flares and reflectors will also let drivers know that you need some help. Always keep bandages, gauze, medical tape, and disinfectant wipes in your car. Getting cut is bad enough, but it would be even worse if you’re spilling blood all over the inside of your car with no bandages in sight. A first-aid kit can easily be stored without taking up much room at all. Keep an extra stash of motor oil, coolant, wiper fluid, and gasoline if you can. It’s always good to have a gas can in your trunk, so make sure you have it at least half filled just in case you run out of gas unexpectedly. Keep small amounts of each fluid handy so you don’t have to worry about running out. Make sure you have things like a flashlight, batteries, screwdrivers, blankets, wrenches, and a spare tire, of course. It’s best to be prepared for the worst situations so you don’t find yourself in a helpless scenario.